For fans of Thaiboxing there is some bad news: The Fairtex Shop on the second floor of Esplanade Mall has closed. Their new location is now found at EM Quartier next to Sukhumvit Road and the well known luxury mall The Emporium Bangkok. Fairtex is a well known manufacturer of Muay Thai apparel, boxing gloves and martial arts fighting equipment similar to King, Yokkao and Windy. The equipment is worn for workouts as well as for competition. It is highly regarded as by female fitness tourists who travel to Thailand for Muay Thai and weight redcution training courses. Many product lines follow colorfull fashion trends. Since Esplanade and the Talad Nut Rotfai area are gaining higher popularity among visitors, more and more tourists seek to stay in this attractive region. The closest hotel to Esplanade is Amanta Hotel and Residence Ratchada. 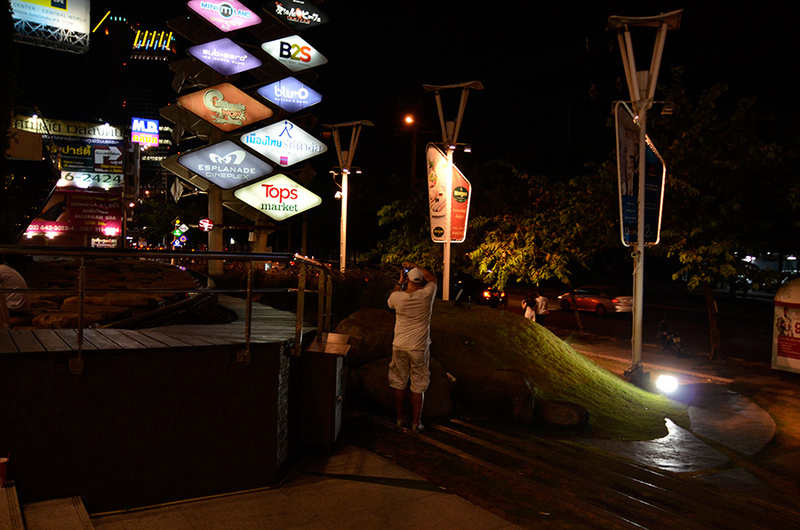 The place is like an oasis in the heart of Ratchadapisek Road. 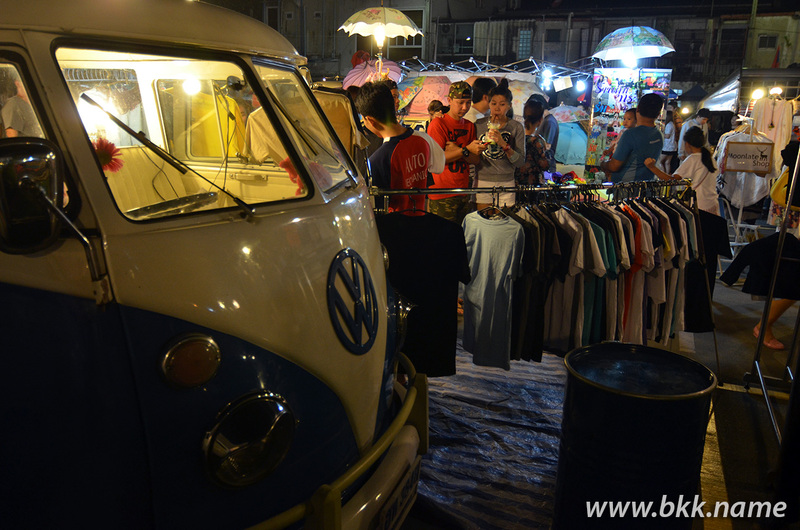 Vendors at the night market sell clothing, foods and lots of other things out of well preserved VW busses. From Thursday to Saturday Talat Nud Rotfri opens in the evenings behind Esplanade on an older parking lot. It is a night market with live music, shopping and gastronomy. The typical items for sale are shoes, accessories, shirts and fashion jewelry. The back part of the lot is reserved for food vendors and small outdoor restaurants. The first night market took place in mid January 2015. 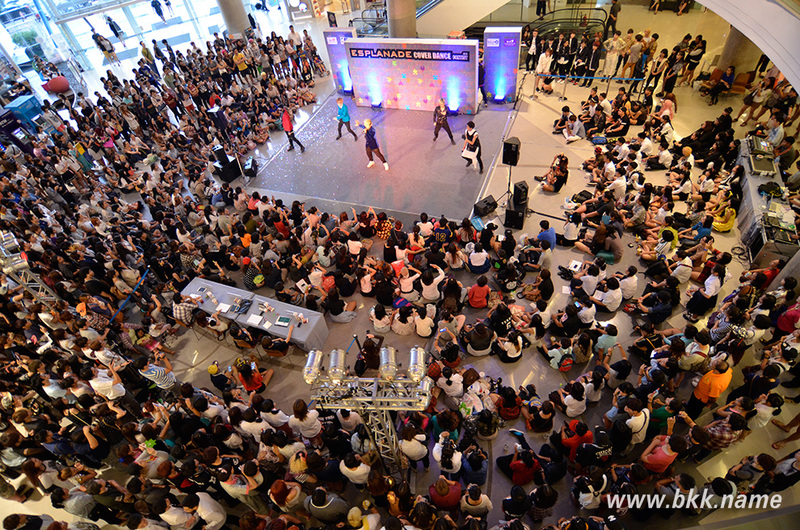 Many events are hosted in Esplanade on Ratchadapisek. Some of them are very successful, drawing huge crowds and being televised. 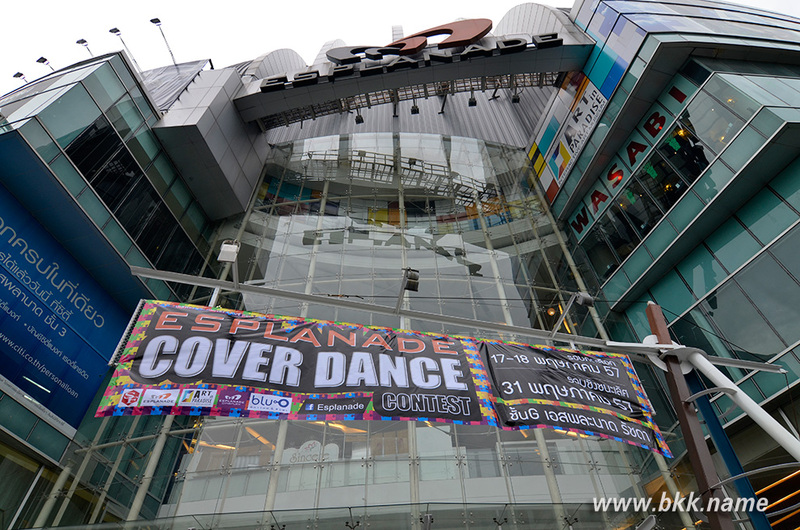 Cover Dance Thailand is one of these shows. Groups on teenagers and young adults compete for the first place in various musical dance performance categories. All of them give 100% their best to achieve this goal and it’s spectacular to watch some of the most amazing Thai street dancers perform on stage. Neon signs next to Esplanade’s entrance are frequently used for nightshot photography. In this picture a tourist from Switzerland captures the name plates of residing companies after nightfall with his Nikon 5200 DSLR camera. The upper floor of Esplanade hosts 12 movie theaters of Mojor Cineplex. 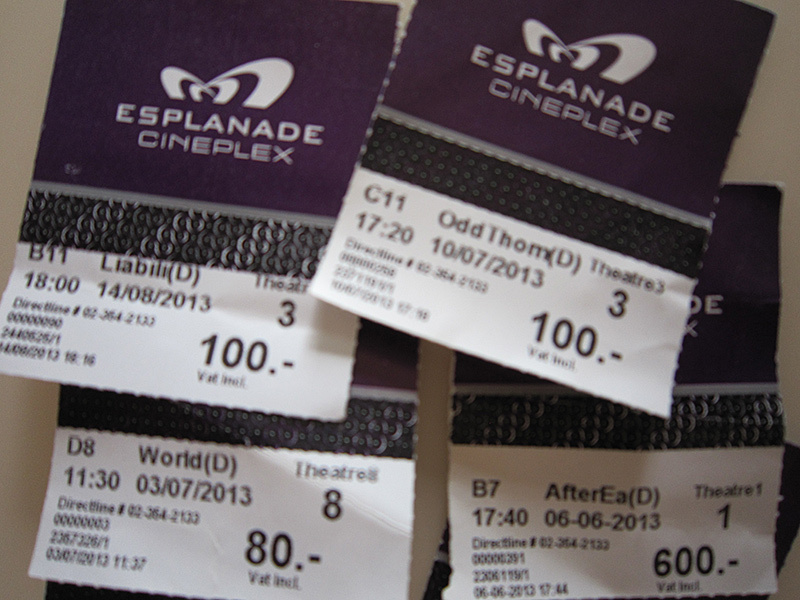 They are very modern cinemas playing blockbuster movie hits in English, Thai and Korean languages. Most theaters are equipped with digital technology and 3D. Two units are co-branded by BSC company with wide first class reclining seats. Showtimes start at around 11 am with last movies kicking off at around 11.30 pm. Regular rickets are priced from 210 to 230 Baht per seat while luxury BSC units offer seats for 600 Baht inclusive of free drinks and finger foods. Special pricing is offered on Wednesdays when tickets for most shows are offered for as low as 60, 80 or 100 Baht per seat and screen. Wednesday is movie day at Major Cineplex Esplanade. Tickets are sold at discounts.